SNAICC recognises that many of our families require intensive supports to address complex needs, family breakdown and multiple stressors. Many of our families remain damaged by the intergenerational impacts of past policies of forced removal of children from their family and culture. Commitment is needed to heal and strengthen family functioning. Secondary services are vital to respond to crisis-level family situations, especially those that intervene to preserve and rebuild families, preventing child abuse and neglect. Professor Clare Tilbury of Griffith University has written a background paper for SNAICC on Intensive family-based support services for Aboriginal and Torres Strait Islander children and families. Following on from this SNAICC has undertaken consultations with a number of Aboriginal and Torres Strait Islander community-controlled services demonstrating promising practices in providing intensive support to improve family functioning where children are at risk of removal, or to reunify families where children have been removed into out-of-home care. These consultations have highlighted important aspects of service development and delivery required to ensure real support for Aboriginal and Torres Strait Islander families and work towards positive outcomes for these families. Drawing on these consultations, SNAICC submitted an article to the Developing Practice journal, that was published in April 2013.  The article identifies aspects of effective and culturally appropriate practice in intensive support that can strengthen and keep Aboriginal and Torres Strait Islander families together. In May 2013 SNAICC was awarded funding through FaHCSIA under the National Research Agenda for Protecting Children 2011-2014 to undertake a more in-depth research project on intensive/targeted support for Aboriginal and Torres Strait Islander families. SNAICC and Prof Tilbury are currently working with five Aboriginal and Torres Strait Islander organisations delivering intensive or targeted family support services to promote goals of family preservation and/or reunification. The project aims to identify good practice in services achieving positive outcomes for Aboriginal and Torres Strait Islander families experiencing multiple hardships, and will help build the evidence base about effective programs and practices for meeting the needs of vulnerable children and families. Through this project SNAICC will develop a research report, a practice guide and an accompanying training package to support good practice in intensive services for Aboriginal and Torres Strait Islander families.